And here is Poms, my new crochet animal pattern. My boyfriend came up with the name and it sounds perfect for a crochet panda. Designing this panda pattern was a bit more tricky than I expected. The head was the easiest part this time, because when designing crochet animals, sometimes you unexpectedly stumble upon an ideal shape for one animal, while making another. I saved those notes and now they came in handy. 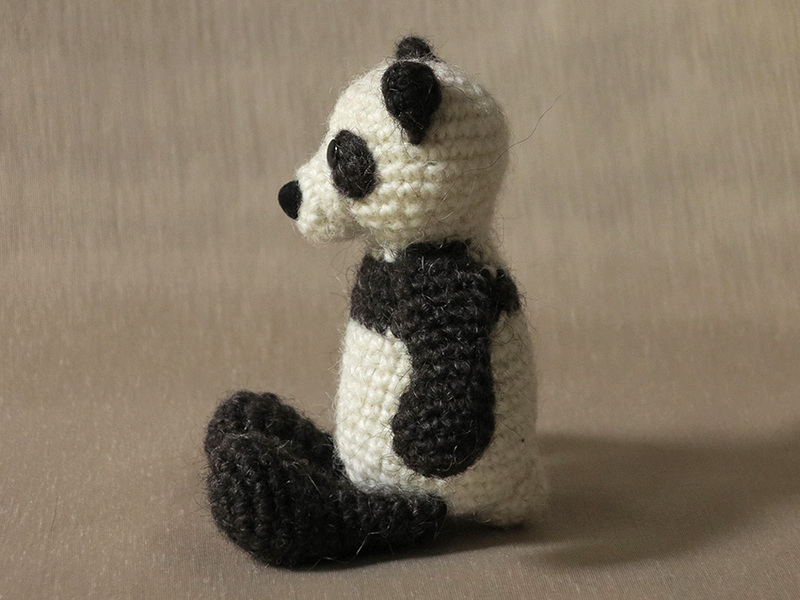 The body was the challenging part of this crochet panda. When I design my crochet animals, my main goal is to create a recognizable animal, which also is a playful and artistic doll. 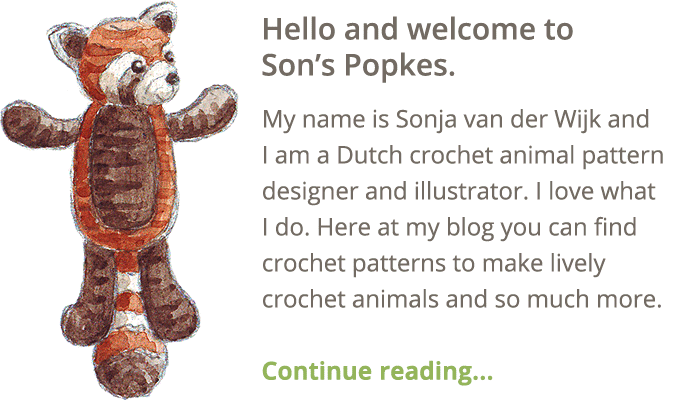 Last week, I got this heartwarming email from Crystal Lindau, who has made many of my crochet animal patterns. To her and her son Connor, who has autism, the crochet animals have an extra purpose. Crystal uses them to act out the stories they read together. The crochet animals are a great teaching aid for communication and empathy for Connor. I was very moved when I read her message and asked her if I could share her story here. Poms had to become a doll like that, so I had to design him looking both panda-ish as dollish. After making a whole lot of bodies I finally got the result I desired. The fuzzy wool I always use is very suitable for getting the wooly structure panda fur has. Poms is sitting 13 cm /5,1 cm. 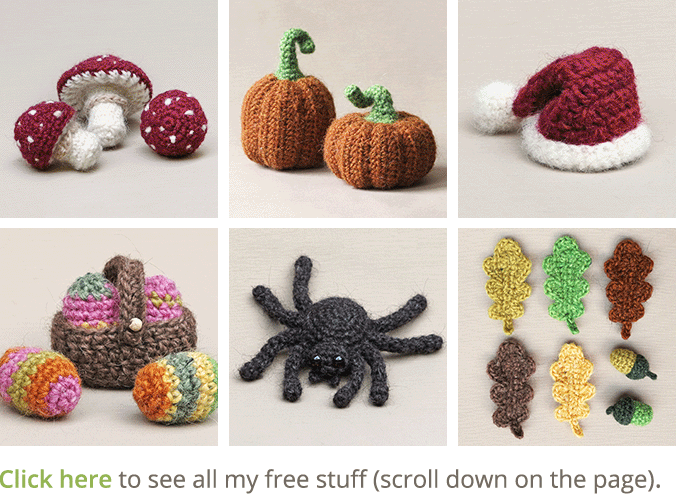 Links to the pattern you can find below. Where you can get the pattern. 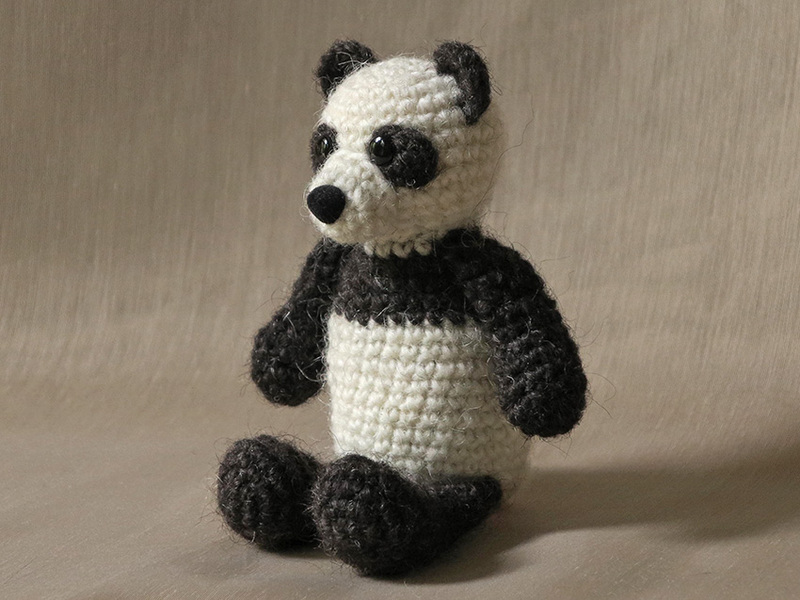 The crochet pattern for Poms the panda, you can find in my shop and in my shop at Ravelry. 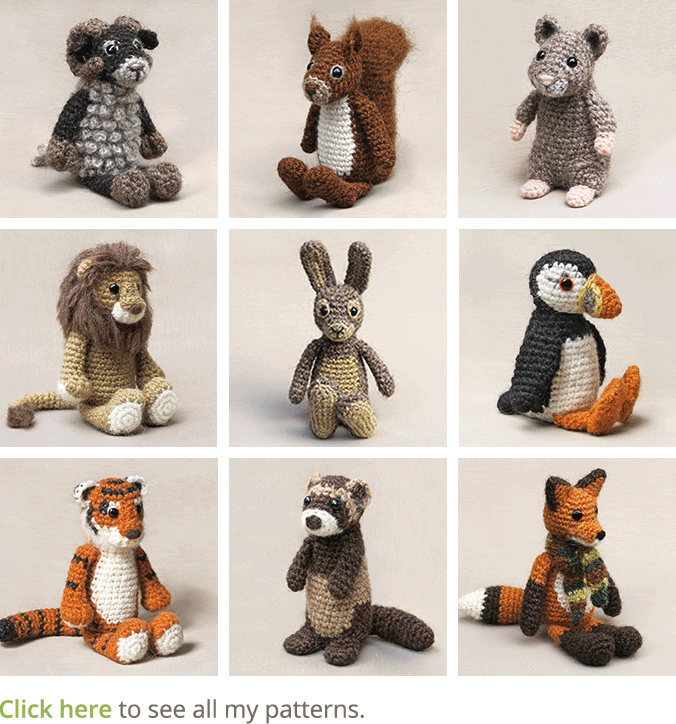 The pattern contains a clear description of how to crochet and attach Poms, illustrated with pictures. It tells you what materials you need, the Lopi colour numbers, in short, everything you need to know to make this panda bear. what is the coupon code? thanks for sharing. You’re welcome. There is no code needed, the discount is already applied in the shops.